Matthias Lupri - After Hours, Moonlamps and other Ballads, a new CD for fall 2010. Vibraphonist Matthias Lupri selects previously released material from 5 CD's for a ballad program for some late night listening. Matthias was also listed once again as Rising Vibraphonist in the Down Beat Critic's Poll. "Relaxed but seductive; refined yet sensuous, sinuous but pointed - this music, aimed straight at your stress, still manages to heighten the blood and raise the spirit." "Lupri, a migrant from rock drums to jazz vibes, plays fast, loose, and at the top of his game"
"Fresh off a tour of Canada, Europe, USA and then straight into the studio, modern jazz vibraphonist Matthias Lupri returns this spring with his 5th CD of original modern compositions entitled "Metalix"(Summit DCD 445) with ace saxophonists Myron Walden (alto) and Donny McCaslin (tenor). Modern original jazz with the sweet sounds of the vibraphone and fresh forward thinking players of today's NYC jazz scene; Nate Radley guitar, Thomson Kneeland acoustic bass and Jordan Perlson drums. "Metalix" is a follow up to "Transition Sonic" (w/Mark Turner & Cuong Vu), "Same Time Twice" (w/ Mark Turner, Kurt Rosenwinkel, Reuben Rogers and Greg Hutchinson) "Shadow of the Vibe" (w/George Garzone) and his debut "Window Up Window Down." "Lupri exhibits a season approach to composition while also distinguishing himself as a first-rate improviser"
Lupri is no underaged phenom, but rather a still-young though experienced adult who has not rushed his journey into jazz's deeper waters. He was born in Germany in 1964, and came to North America with his family a year later. After four years in Kansas, the Lupris moved to Alberta, Canada, where Matthias studied drums and began playing professionally as a teenager. "I was a drummer for 15 years," he reports, "playing blues, rock and country music. But jazz fascinated me, and I went to college to learn more about it. That's where I was introduced to the vibes, which was a mandatory instrument for drummers; and that's where a teacher told me to check out Gary Burton. So I bought his Times Square album with Tiger Okoshi, Steve Swallow and Roy Haynes, and it totally changed my whole approach to music. For the next five years, while I was still on the road with rock bands, I would practice my vibes every day in my hotel room." One major change for Lupri was a newfound urge to compose music as well as play it. "I always felt that I was missing something by just playing," he recalls. "I wanted to add more melodically." He also took note of how Burton, in his Times Square period, was working without piano or guitar, and a Lupri ensemble concept also began to take shape. "I love playing with sax and no other comping instrument sometimes," he explains. "It gives you more freedom, and without the richer piano sound the timber of sax and vibes together tends to float more." Finally, Lupri decided to commit himself fully to jazz. He enrolled at Boston's Berklee College, where vibists Burton, Ed Saindon and Victor Mendoza all helped him find his own voice. 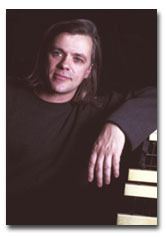 Around the time of his graduation in 1994, he met fellow student drummer Sebastiaan DeKrom (Jamie Cullum), who toured and played on Matthias' first few CD's. Matthias has since then gone on to tour consistently and play at major jazz festivals such as North Sea, Montreal, Atlanta, Litchfield, Rochester, Jacksonville, Lake George, Toronto, Vancouver, Seattle, Clearwater, Boston, Ottawa, etc. Matthias' CDs have charted in the Top 40 Jazz Charts, he has been voted in the Down Beat critics poll twice as a "Rising Star" on the vibes, and recently had his music played on the TV show "ALIAS". Lupri's CDs are available at major record stores or can ordered online through his website at www.matthiaslupri.com, and www.amazon.com, www.cduniverse.com, etc. 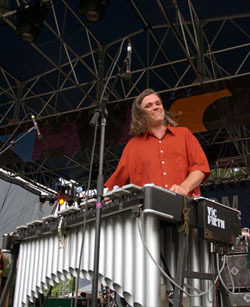 Matthias uses Musser Vibraphones, Vic Firth Mallets, K&K Midi Vibe Pick-ups and Roland Jazz Chorus Amps. In addition, there is an interview with Matthias at Jazz Break. And in Jazzcorner's Speakeasy, Matthias received great reviews for his new cd Sonic Transition.